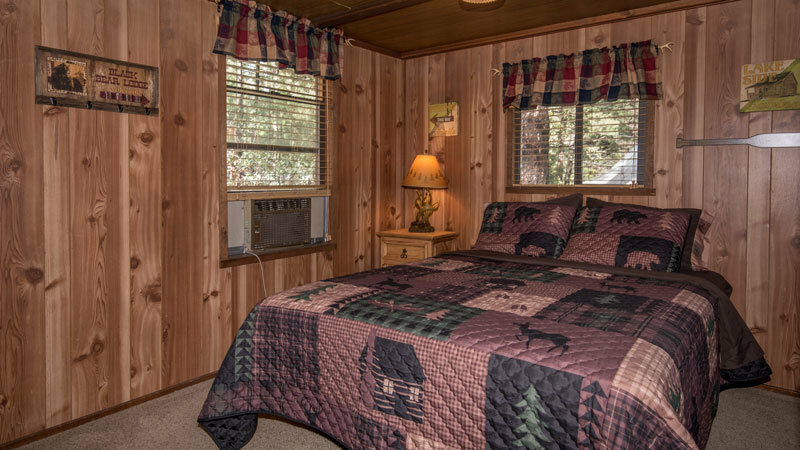 One Bedroom - Cabin Sleeps 2 - 1 Queen Bed -1 Bath With Shower Only - Kitchenette With Toaster Oven, Microwave - Cable TV/DVD - Wireless Internet - Gas Fireplace - Air Conditioning, Porch - BBQ and Picnic Table. 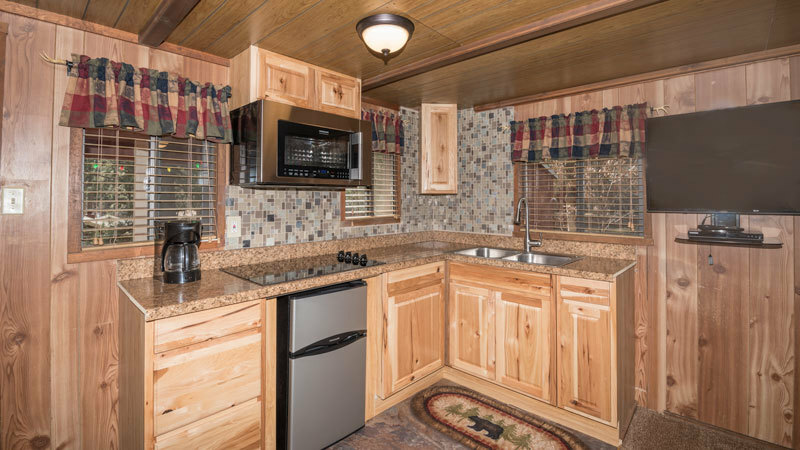 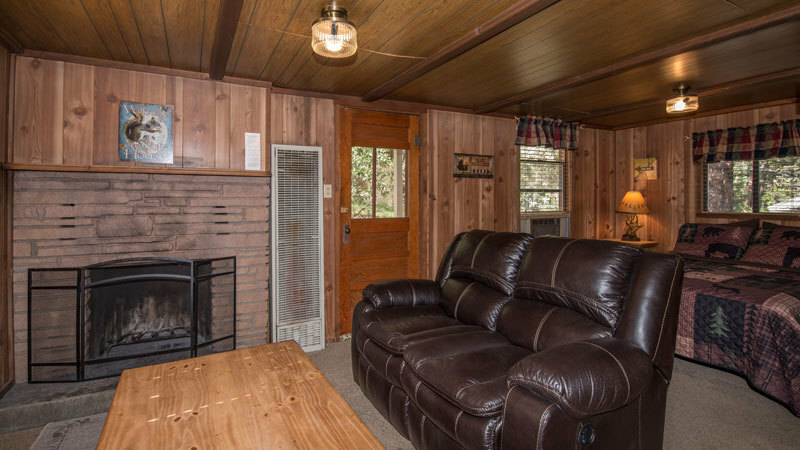 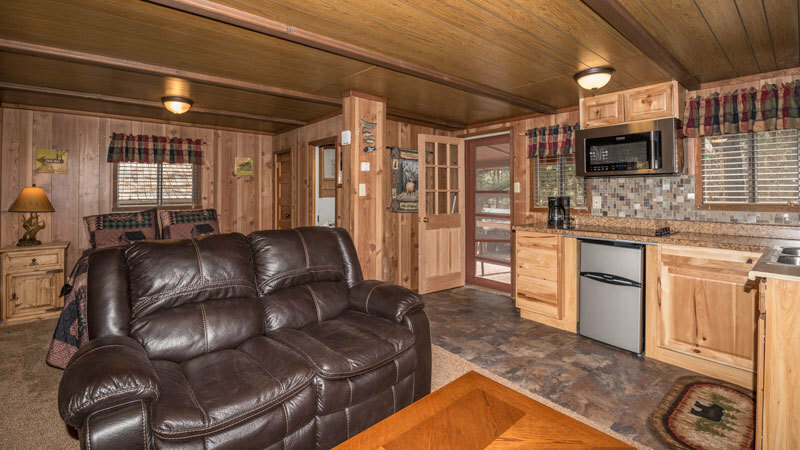 If you're looking for cozy, this is the rental cabin for you. 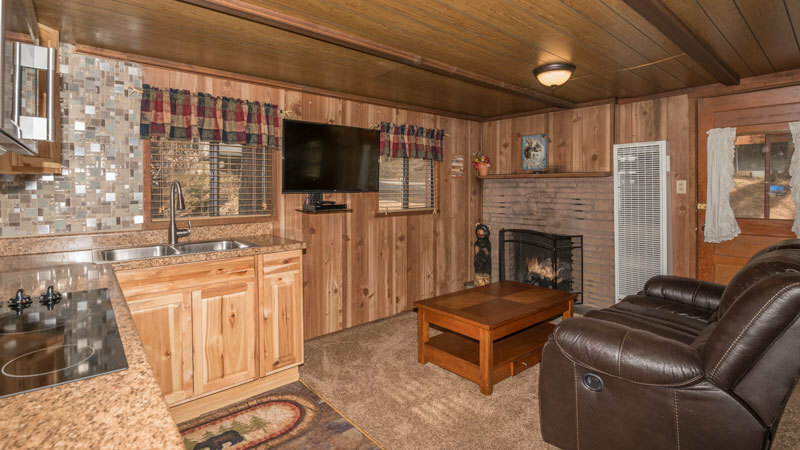 A one room cabin that you can watch TV and enjoy the fireplace from your queen size bed.